Do Video Games and TV Cause Mental Issues? 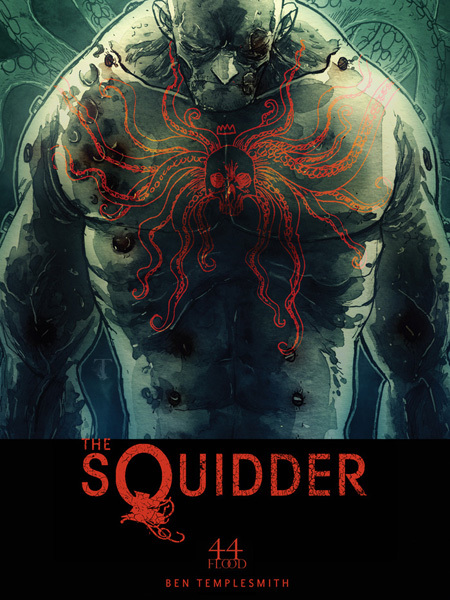 Ben Templesmith acclaimed artist and writer known for 30 Days of Night (with Steve Niles), Wormwood Gentleman Corpse and Welcome to Hoxford amongst others is getting back in the creator owned comics game with an original graphic novel, The Squidder. Templesmith describes himself as a ‘storyteller’ rather than an artist or a writer and to this end is wanting to get away from corporately mandated ventures which stifle creativity. The Squidder is described as ‘a horribly tentacled horrific book’ which blends Cthulhu, Mad Max and The Lord of the Rings into one narrative. It’s part horror story and part love story based around a soldier from a long forgotten war. It will be an action packed and blood soaked eerie tale. In order to bring his’ post-apocalyptic squid epic’ to life, Templesmith and his production partners at 44Flood took to Kickstarter and were promptly blown away by the support they received, raising 500% of their goal with 14 days to spare. In response to this Templesmith has pledged to add an additional 36 pages of content to the book. Anyone interested in Templesmith’s ‘definitive tentacle book’ should take a look at the Kickstarter here CLICK ME where there are numerous different rewards available from various signed prints from Templesmith and fellow artists menton3 and Riley Rossmo to a slipcased signed embossed hardback ‘Kraken’ edition of the book to original art and more.